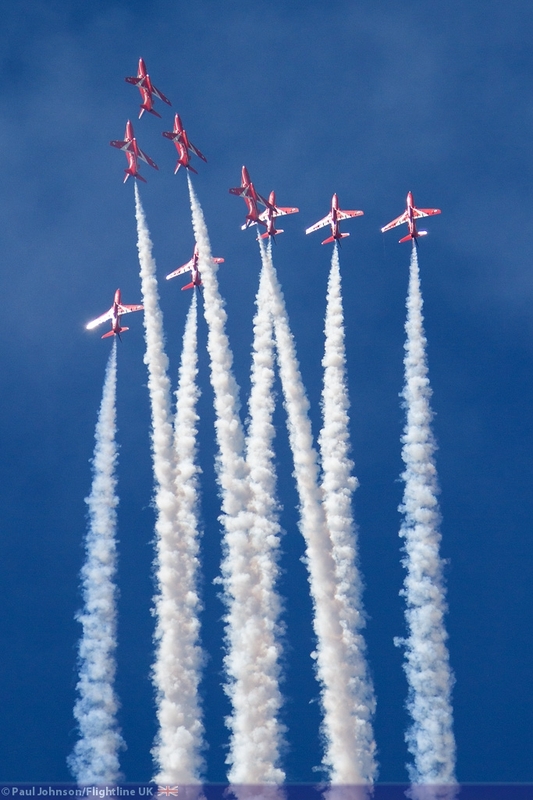 AIRSHOW NEWS: Air Tattoo on a Friday? Take it as red! display season. Up to 10,000 special Pit Day tickets, priced £24, are being made available for Friday, July 11 offering exclusive access to the world famous aerobatic display team and their aircraft. The Red Arrows’ Pit Day will also enable visitors to watch aircraft arrivals and rehearsals in the morning and enjoy a four-hour flying display in the afternoon including the premiere of a special Red Arrows’ formation flypast. Vintage Village, the BAE Systems’ Hawk and F-16 Anniversary Park plus close access to other international aerobatic teams and their aircraft – with more exciting themed activities to be announced. The Red Arrows began life at RAF Fairford in 1964, performing their first display at Little Rissington in the Cotswolds a year later. Since then, they have performed more than 4,500 displays in 54 different countries. 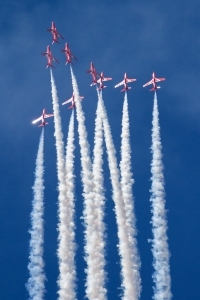 Air Tattoo organisers are working closely with the Royal Air Force and other air arms to stage the UK’s premier internationally-flavoured aerial tribute to the world’s most famous aerobatic display team. aircraft currently flown by the Red Arrows. Tickets for next summer’s Air Tattoo go on sale from Wednesday (November 20) including specially-priced Super Earlybird admission tickets, Friday Red Arrows Pit Day tickets plus a range of enclosure packages. Discounts of up to £10 per ticket are available until January 31, 2014. Visit airtattoo.com for details. Military Airshows > > AIRSHOW NEWS: Air Tattoo on a Friday? Take it as red!